Many of their singles, such as "Bad Company", "Can't Get Enough", "Good Lovin' Gone Bad", and "Feel Like Makin' Love", remain popular with rockers of both the past and present, and their hits remain staples of classic rock radio. Bad Company consisted of four seasoned musicians: two former members of Free, singer Paul Rodgers and drummer Simon Kirke; former Mott the Hoople guitarist Mick Ralphs; and ex-King Crimson bassist Boz Burrell. Straight Shooter, issued the following year, was another major success, notching the hit "Feel Like Makin' Love," while 1976's Run With the Pack was Bad Company's third consecutive million-selling record. 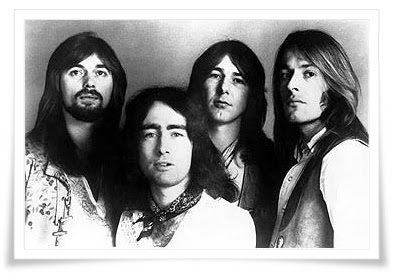 After 1977's Burnin' Sky, Bad Company recorded 1979's Desolation Angels, which embellished the group's sound with synthesizers and strings; a three-year hiatus followed before the release of Rough Diamonds, the group's final LP in its original incarnation. After the release of Rough Diamonds, Bad Company disbanded. 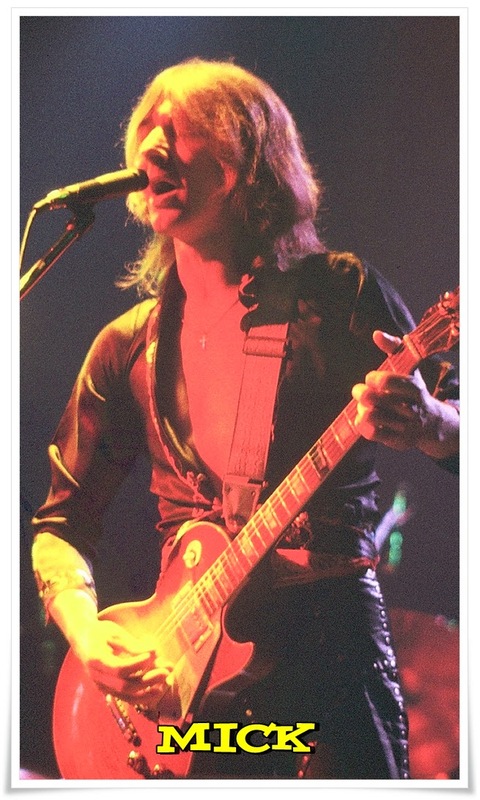 Mick Ralphs said, "Paul wanted a break and truthfully we all needed to stop. Bad Company had become bigger than us all and to continue would have destroyed someone or something. 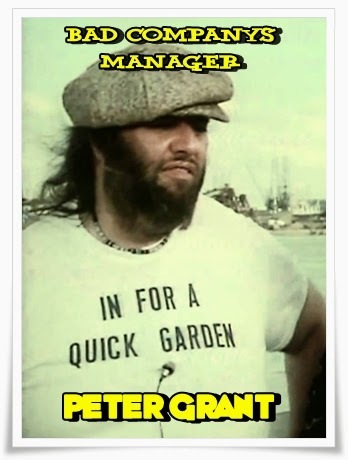 From a business standpoint, it was the wrong thing to do, but Paul's instinct was absolutely right". 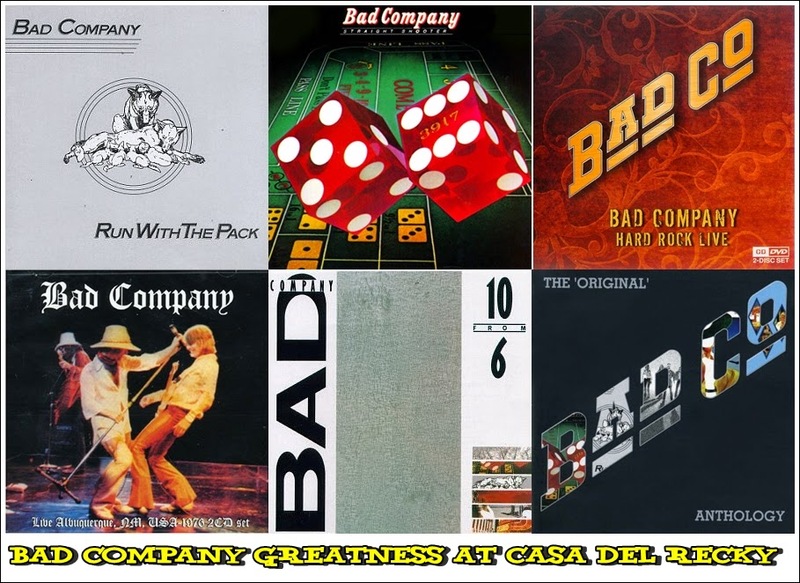 Despite being famous for their live shows packing the largest stadiums for almost a decade, Bad Company did not release an official live album of performances from this time period until the 2006 album Live in Albuquerque 1976. The recordings were made by Mick Ralphs, who regularly taped the group's shows and utilized the tapes to critique the band's performances. Bootlegs of Bad Company's live performances from this period were also available, including "Boblingen Live" (1974), "Live in Japan" (1975) and "Shooting Star Live at the L.A. Forum" (1975). In 1985 Mick Ralphs and Simon Kirke, having just worked together the previous year on Ralphs' solo album Take This, decided to reteam for a new project. But in 1986, their label, Atlantic Records, insisted they resume the Bad Company name. Unfortunately, Paul Rodgers was already engaged with a new supergroup called The Firm. With Rodgers gone, the remaining two members partnered with ex-Ted Nugent vocalist Brian Howe as the new lead singer. 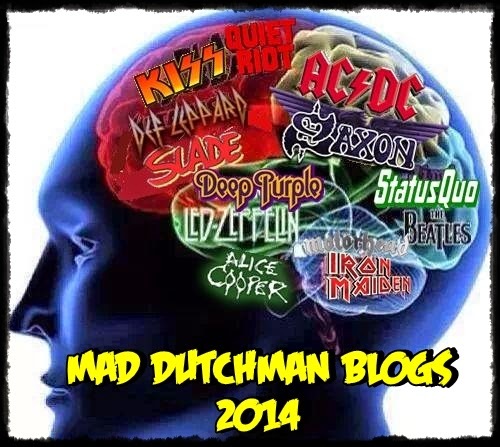 In addition, they hired Steve Price as the new bass player and Greg Dechert (ex-Uriah Heep) on keyboards. Howe's vocal style brought more of a pop-rock sound to the band, which Atlantic Records, looking to bring the band back up to arena status, was looking for after declining turnouts to previous live performances and the dismal sales of Rough Diamonds. The band hired Foreigner producer Keith Olsen to produce the new lineup's as name checked on the Fame and Fortune album, even though he didn't play on it. But just before the supporting tour, he left once again (Steve Price then returned). Among the subsequent projects Burrell was involved with was a nine-piece Jazz outfit called The Tam White Band. 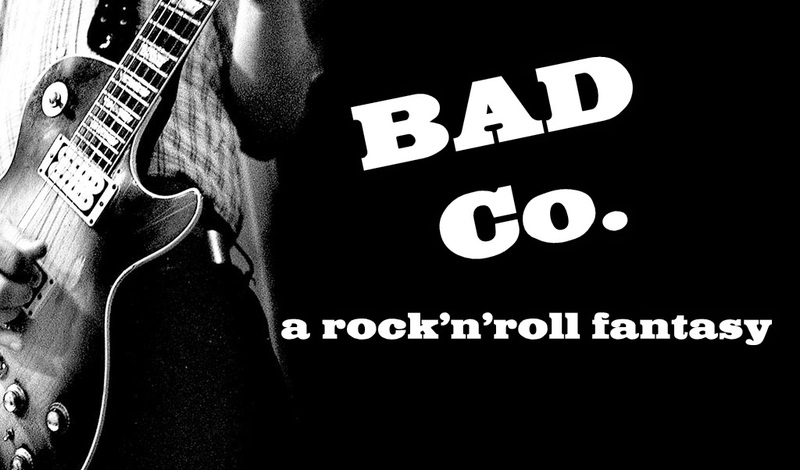 In 1986, Ralphs and Kirke resurrected the Bad Company name, enlisting former Ted Nugent vocalist Brian Howe to replace Rodgers. The reconfigured unit's debut, Fame & Fortune, was a commercial failure, but 1988's Dangerous Age became a minor hit. Released in 1990, Holy Water fared even better, as the power ballad "If You Needed Somebody" became a Top 20 success. Here Comes Trouble, issued in 1992, achieved platinum status, and earned another Top 40 hit with "How About That." On their 20th anniversary, Bad Company expanded into a quintet with the addition of bassist Rick Wills and rhythm guitarist Dave Colwell, and released the live retrospective The Best of Bad Company Live...What You Hear Is What You Get..... Two more LPs -- 1995's The Company of Strangers and the next year's Stories Told and Untold -- followed, and in 1998 the original lineup of Rodgers, Ralphs, Kirke, and Burrell reunited to record a handful of new tracks that surfaced alongside past material early the following year on The Original Bad Company Anthology. A reunion tour followed that spring. After Howe's departure, the remaining foursome hired ex-Distance vocalist Robert Hart to take over lead vocal duties. Unlike Howe (who had a different style and a higher range), Hart was closer in voice and an imitator of Rodgers. Hart became very popular with both the band and public alike, especially in the US and Canada. 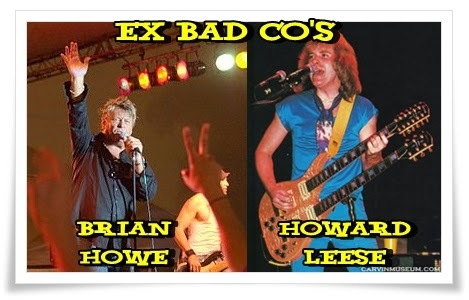 In July 1994 a contract was drawn up by Alliance Artists and Legend Management and signed by the then Bad Company line up: Mick Ralphs, Simon Kirke, Hart, Dave Colwell and Rick Wills, giving Hart the right to perform write and record songs and albums and receive royalty payments as a full Bad Company member. With Hart, who bore an uncanny vocal similarity to Paul Rodgers, the new lineup released Company of Strangers in June 1995 which came out on EastWest Records and peaked at No. 159 on the Album charts. It produced the AOR hit "Down And Dirty" (#17). The band then undertook a lengthy promotional tour of the US with Bon Jovi. Stories Told & Untold was released in October 1996 and bombed commercially. Stories contained re-recordings of seven of Bad Company's biggest hits ("told" stories), and seven new songs ("untold" stories). Many of these were recorded in Nashville and featured guest appearances by country stars such as Vince Gill. For their 1996 tour, the Bad Company lineup was: Kirke, Hart, Rick Wills and Dave "Bucket" Colwell. Ralphs sat out this tour due to health issues. On 4 December 1995 the four original members of Bad Company had come together for the first time in thirteen years to attend the funeral of their former manager, Peter Grant. This would be a precursor of things to come. In 1998 Rodgers and Kirke were discussing release of an extensive compilation album with a biography and pictures for the fans. Rodgers decided the album should include four new songs. He finally reunited with the other three original members in the studio to record these four new tracks. The reunion was short, but it produced a Top 20 AOR hit with "Hey Hey" (#15). The second new song "Hammer of Love" peaked at No. 23. The new tracks appeared on the compilation album called The Original Bad Company Anthology released in March 1999, which only charted at No. 189. Many fans were displeased with the track listing which left off many favourites, although a number of rare tracks did appear. The reunited original foursome toured in the summer of '99 for only 30 dates in the US. The shows drew well, but after that, Ralphs announced he was retiring from live performing and Burrell left again as well bringing the reunion to an end. In the 2014 Bad Company 40th Anniversary DVD documentary, Kirke elaborates further on the end of the 1999 reunion, stating that he and Rodgers did not wish to continue on since he and Rodgers were sober and the other two were not. Paul Rodgers again rejoined Kirke in 2001 for a tour that kicked off in the US and included co-headlining dates with Styx and Billy Squier as special guest. Wills and Colwell took over for the departed Ralphs and Burrell. The tour did decent business then moved to the UK. The band secured some dates on the West Coast of the US to record a new live album and DVD, Merchants of Cool, recorded by Chris Mickle, Bud Martin & Justin Peacock and which featured the song "Joe Fabulous", which hit No. 1 on radio and the top 20 on Mainstream Rock Radio in the US in its debut week. The Merchants of Cool promotional tour in 2002 once again featured Kirke and Rodgers as the only original members left. Colwell again took lead guitar and Jaz Lochrie, who had played live and recorded with Paul Rodgers from 1995 on, was on bass. Guest performers at the shows included former Guns N' Roses guitarist Slash and Neal Schon of Journey fame. 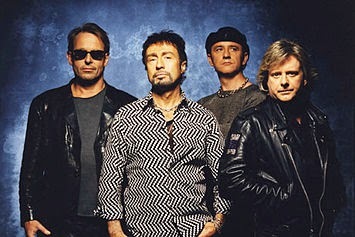 After the 2002 tour, Bad Company went inactive once again as Rodgers returned to his solo career. In 2005 a DVD called Inside Bad Company 1974–1982 was released that reviews Bad Company on stage, on film and on record. 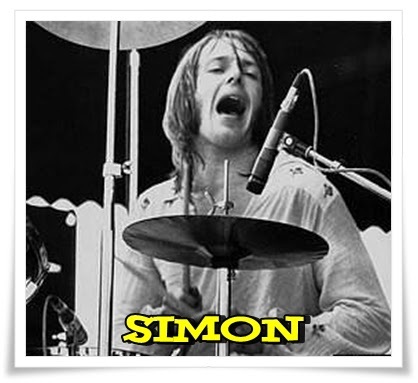 It also interviews Simon Kirke and has some live recordings from the 1970s and 1980s. This was an unauthorized release. 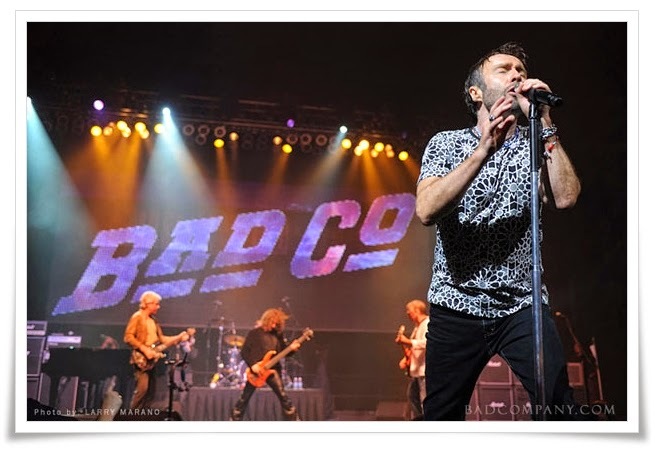 In 2005 Paul Rodgers began touring and playing Bad Company songs with Queen. It was stated, including on Brian May's own website, "that Rodgers would be featured with Queen as: Queen + Paul Rodgers, not replacing the late Freddie Mercury". The CD and DVD of their collaboration was released in 2005 called Return of the Champions with songs by Queen, Bad Company and Free. On 28 April 2006 they released a live DVD from their show in Tokyo called Super Live in Japan. There are many bootlegs from nearly every show of the 2005 and 2006 tours in audio, as well as a few in video form. In 2006 a limited edition CD of 24 carat gold was released of the first Bad Company album (Bad Company). After taking over a year to find the original master tapes, the analog masters were put through a proprietary analog-to-digital converter that remastered the songs for the best possible sound. 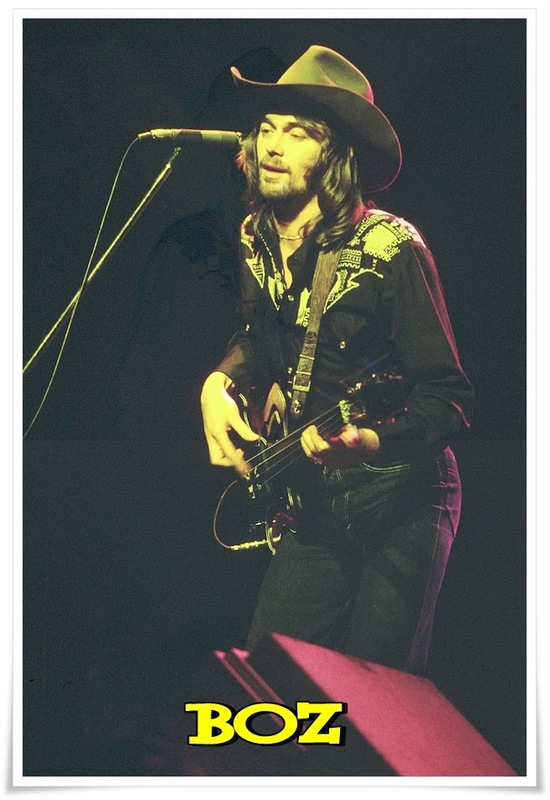 Boz Burrell died of a heart attack on 21 September 2006, aged 60, at his home in Spain. On 6 May 2007 Robert Hart, Dave "Bucket" Colwell and Jaz Lochrie performed in a small pub in Surbiton for The Macmillan Cancer Trust. Performing as Rock and Roll Fantasy, they offered a show of Bad Company songs for an audience of just a few hundred. They were joined by Mick Ralphs. Chris Grainger was the drummer. In 2008 "Mick Ralphs' Bad Company" toured in the following formation: Robert Hart, Mick Ralphs, Dave "Bucket" Colwell, Jaz Lochrie, Gary "Harry" James. On 2 July 2008 it was announced that the original remaining line-up of Bad Company would do a one-off gig at the Seminole Hard Rock Hotel & Casino in Hollywood, Florida on 8 August 2008. For this show, the surviving three were joined by Howard Leese (guitar, formerly of Heart) and bassist Lynn Sorenson. According to Paul Rodgers, they did this gig in order to "protect the legacy they have built and cement the rights to the trademark Bad Company for touring." The live performance was released on Blu-ray, DVD, and CD on 9 February 2010 and the tracks include 17 Bad Company hits. Rodgers dedicated "Gone, Gone, Gone" to original bassist Boz Burrell, who died in 2006. Paul Rodgers, Mick Ralphs and Simon Kirke (again joined by Leese and Sorenson) performed together again during the summer of 2009 playing 10 shows throughout the United States. The band then played shows in the UK during April 2010 before embarking on tours through North America and Japan that lasted from July to October. Mick Ralphs was forced to pull out of the Japan dates, as he was undergoing hip replacement surgery. Leese handled lead guitar for the Japanese tour. 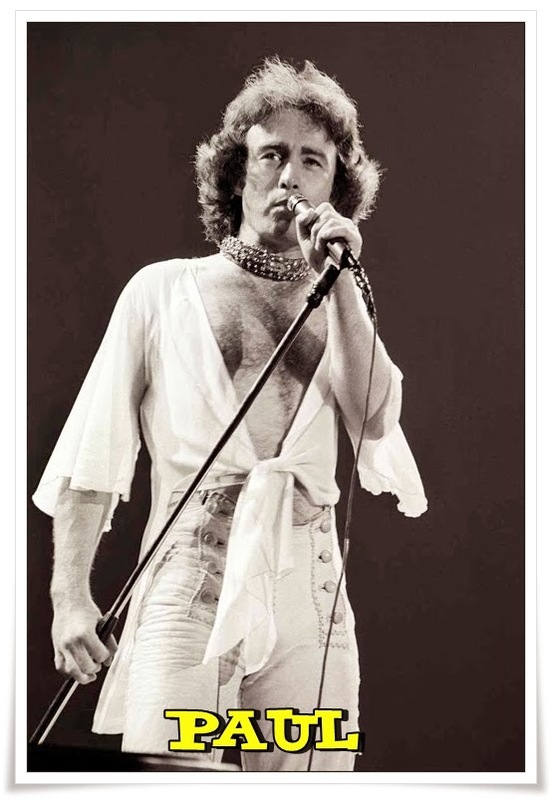 After this, Rodgers had said that at the moment "there will be no further plans for Bad Company", explaining that he was working on solo material, however he hadn't ruled out more activities from the band. Speaking to The Times Record, he said: "We aren't saying never – we never want to say never. 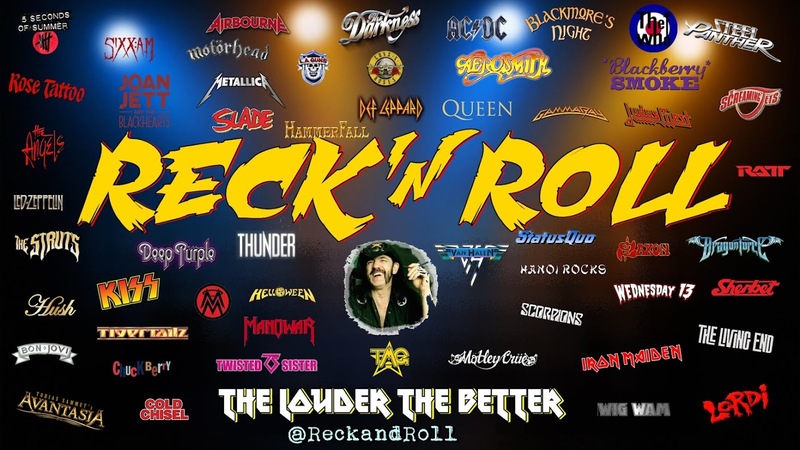 We aren't putting Bad Company to bed, as they say, but the band definitely is something that will be placed onto the back burner." In March 2011 a budget live release Extended Versions was issued, taken from the band's UK tour in 2010. The CD debuted at No. 139 on Billboard's Top 200 Albums Chart and featured 10 selections, and climbed as high as No. 84 on the chart. This is the first Bad Company album to chart in 12 years. In March 2012 it was announced that Bad Company would be performing a short run of European festival dates beginning 9 June at the Sweden Rock Festival in Solvesborg. This would mark the first time in 37 years the band had performed in the European continent, outside the U.K. However, it was announced in May that the German festival dates were cancelled but that the Sweden Rock Festival show was still on. In March 2013 Bad Company and Lynyrd Skynyrd announced a joint 40th Anniversary Tour commemorating the 40th anniversary of Skynyrd's first album release and Bad Company's formation. Todd Ronning, from Rodgers' solo band, took over bass at this point, playing alongside second guitarist Howard Leese, who was celebrating his fifth year with the band. 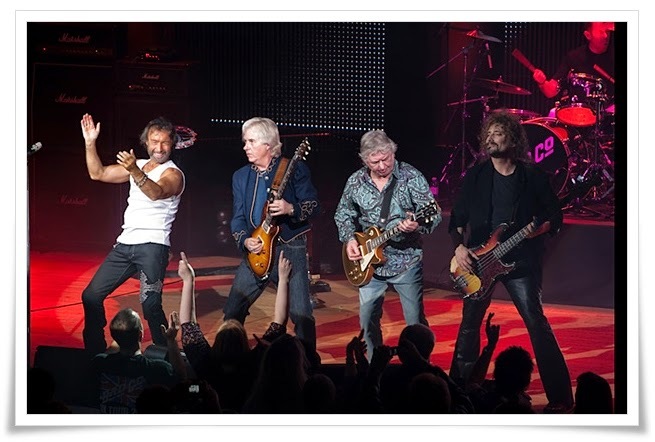 On 10 June 2013 Bad Company appeared on the Tonight Show with Jay Leno, kicking off their commemorative tour to enthusiastic crowds from coast to coast throughout the United States and Canada. A Paul Rodgers fronted Bad Company once again is joining Lynyrd Skynyrd for tour in 2014.